This is an unapologetically picture heavy, word light blog post, but I’m going to leave it as it is. With the gorgeous things in these pictures, I really do think that a picture is worth a thousand words! Although there are captions…well, imagine I’m showing you my Yarningham photo album! Me in front of my stall, day 1. 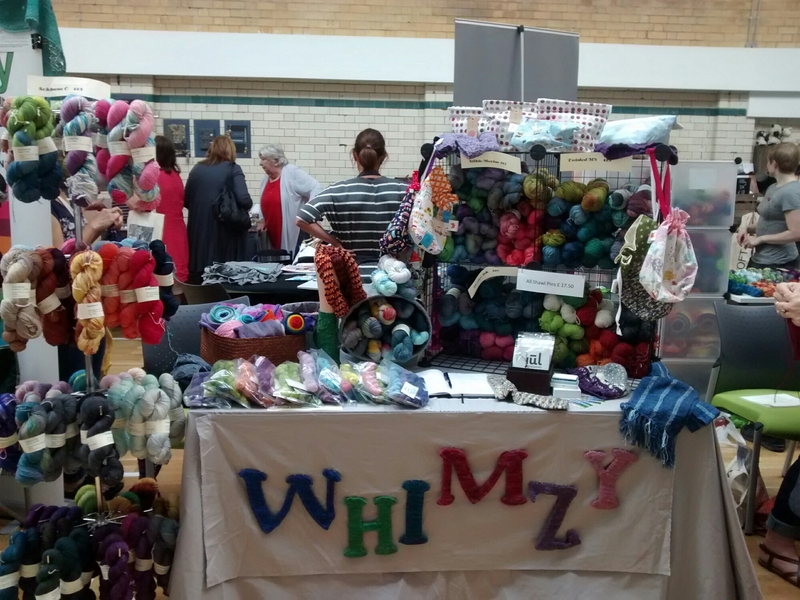 All set up and ready to go! 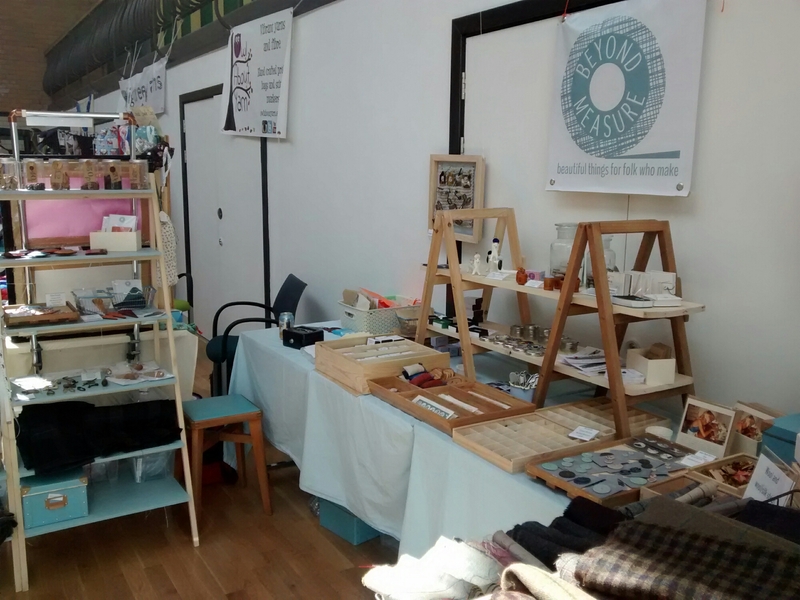 The stall without a stallholder grinning insanely and blocking the view! 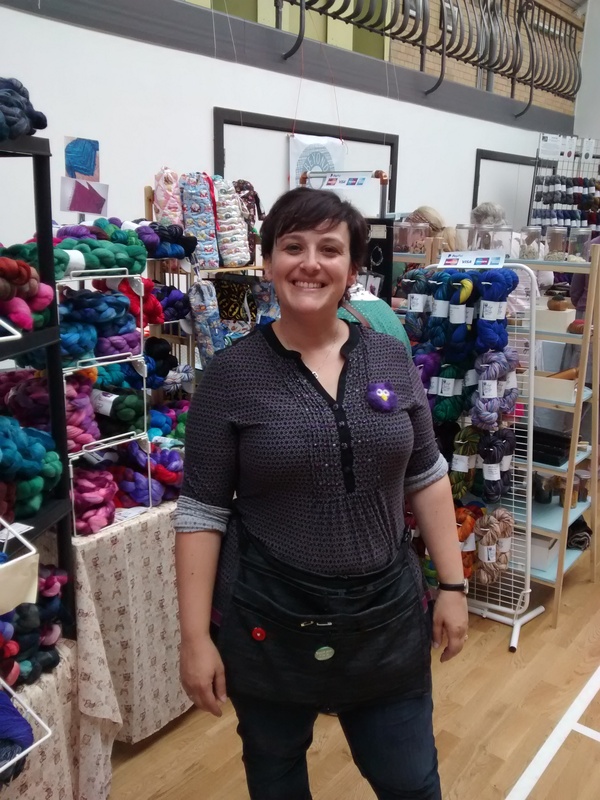 Phileas Yarns – it was so lovely to meet Sylvie and she had the most gorgeous solids and tonals. 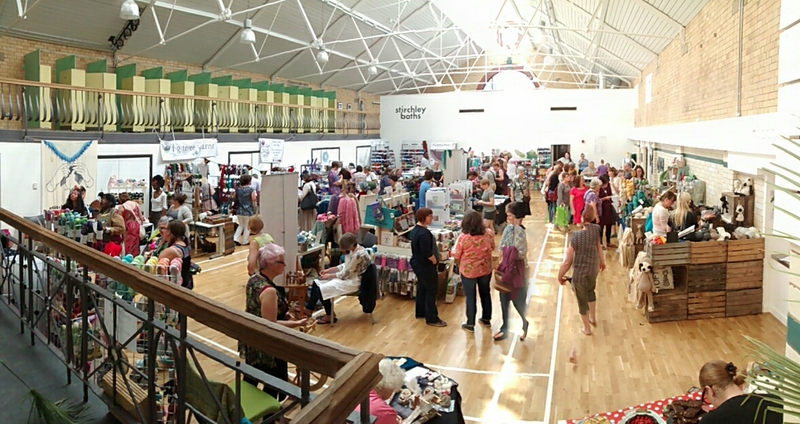 The hall from not-quite-above. We were over on the left hand side. You can just see my sign peeping up! 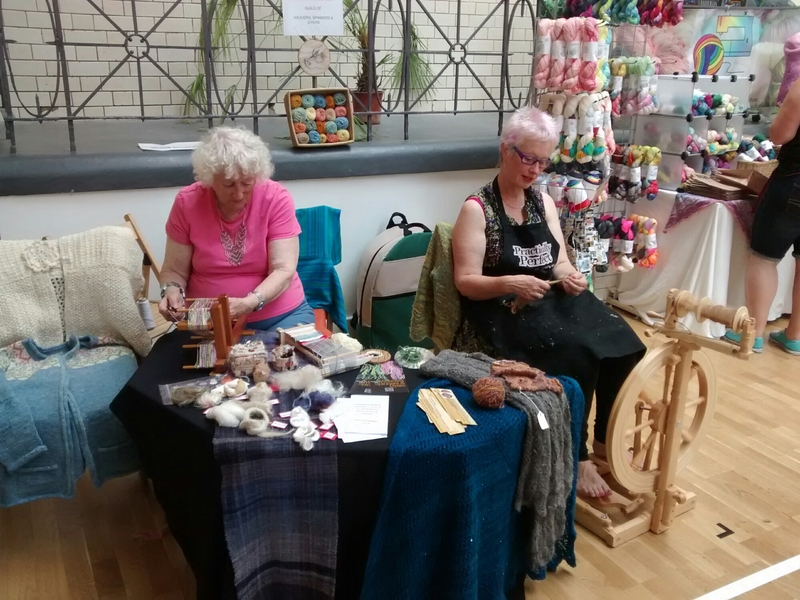 The local WSD guild were tempting people down the weaving and spinning rabbit holes all weekend! 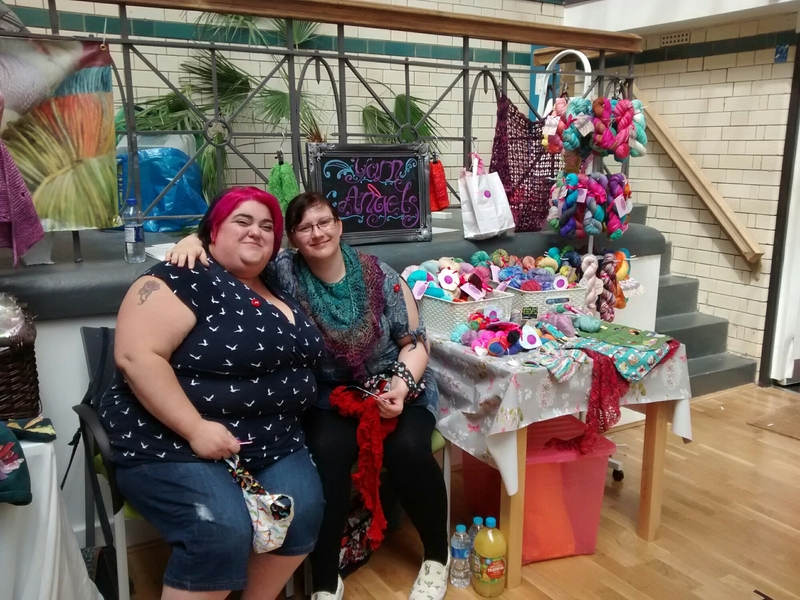 And you can just see Jo Knit Sew’s stall behind them. I don’t seem to have a picture of her stand, which is a shame. She was really lovely! Fee and Liz (I repeated their names all weekend so I wouldn’t forget!) were another lovely pair of people I met. 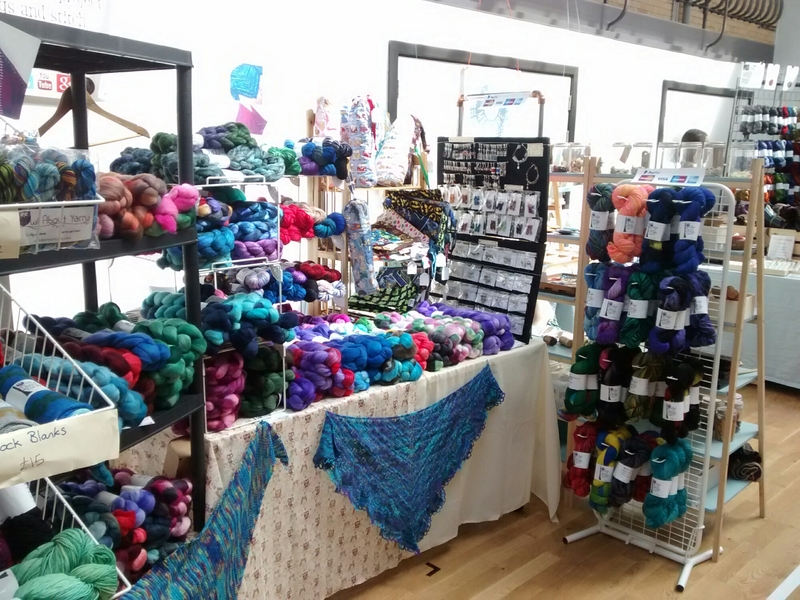 Their business is called Yarn Angels and I think they were the most local of all! 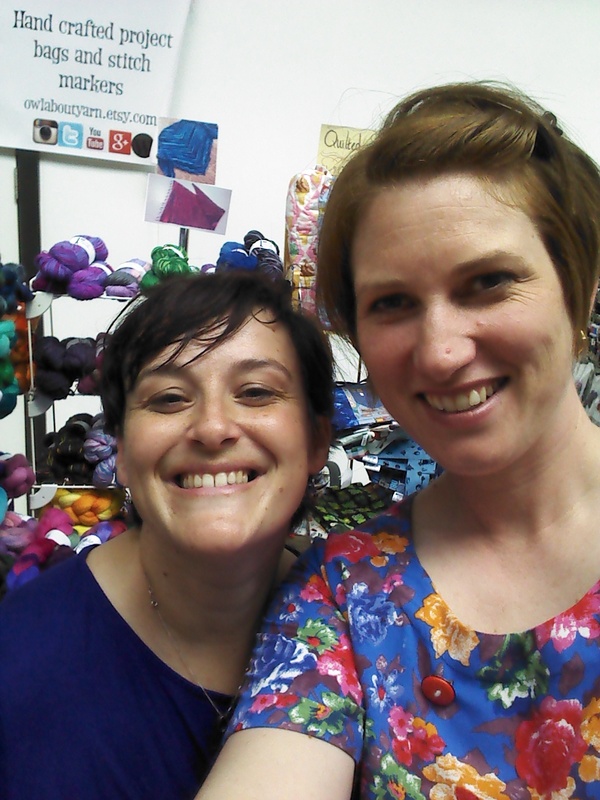 Me and my glamorous assistant Zoe, of the Pins and Needles podcast. Ling was our opposite neighbour, and her stall gave us lots of pretties to look at in quieter times! Oh my days, the cake! I had some raspberry and chocolate cake, but it disappeared too quickly to be photographed. So I got a picture (just!) of the Yarningham sponge instead! 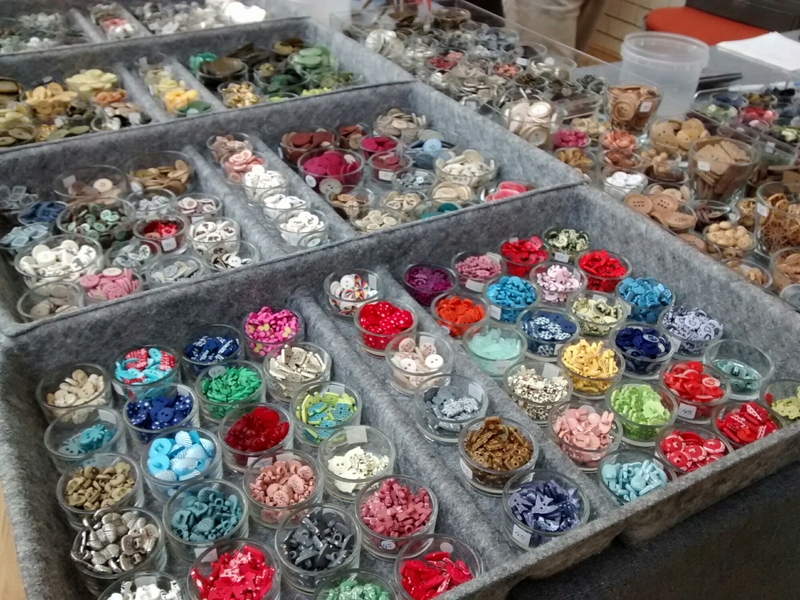 Textile Garden brought the usual extremely tempting range of buttons to riffle. 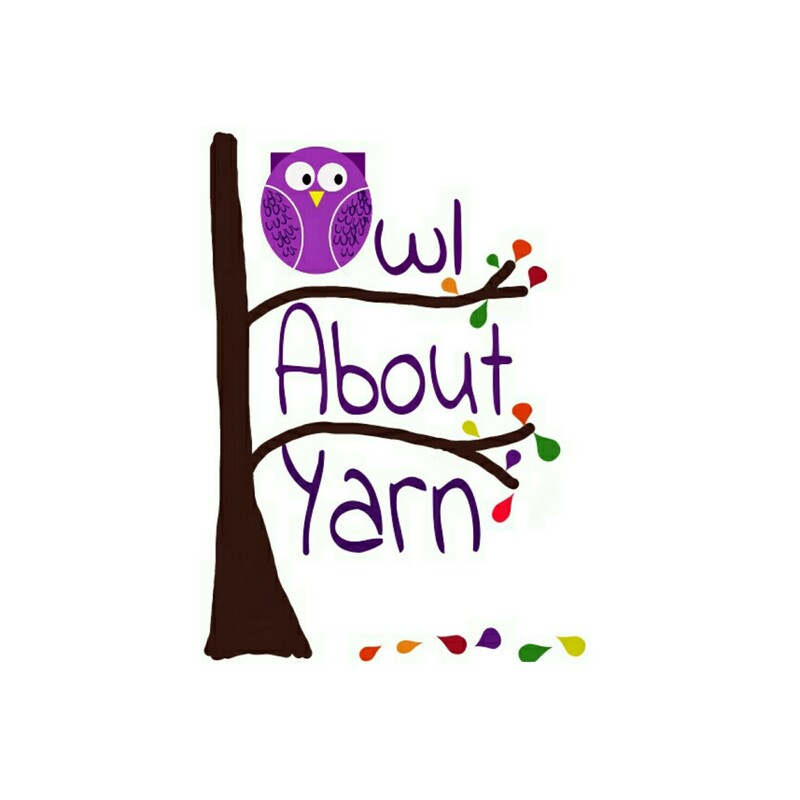 Little Boo Yarns was sort of diagonal to us, and her yarn was actually calling my name all weekend! 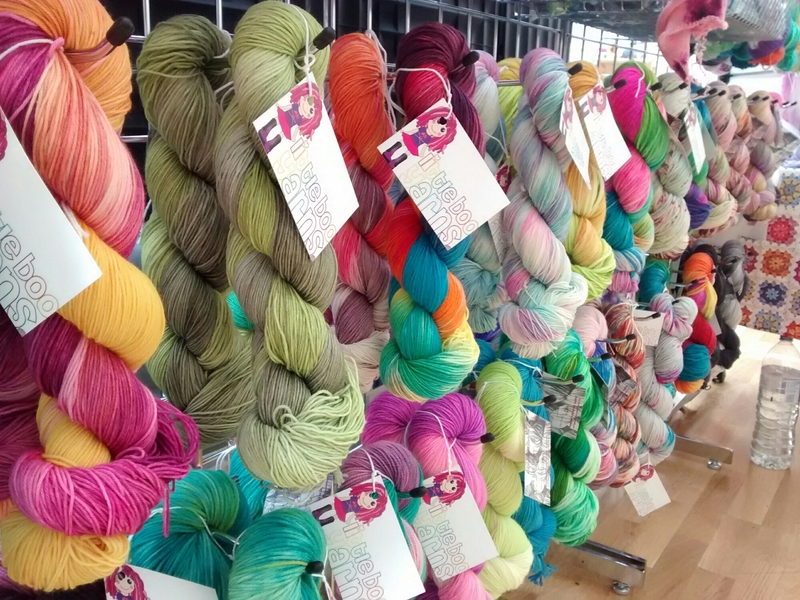 I gave way in the end and bought two totally gorgeous skeins with will become a two tone shawl. 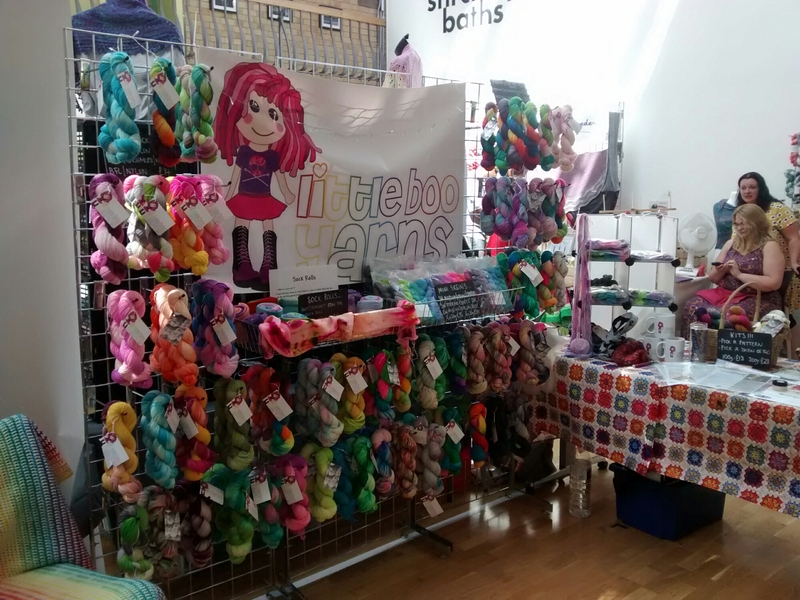 And more Little Boo Yarns goodies…. Look!! 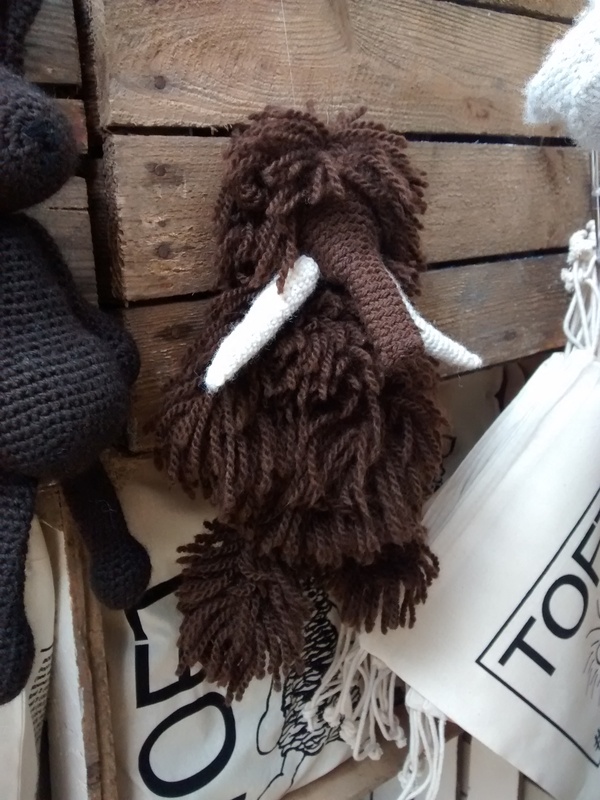 How could anyone resist this gorgeous, beautiful woolly mammoth? He must be mine! Well, at least, the pattern must be mine next weekend! 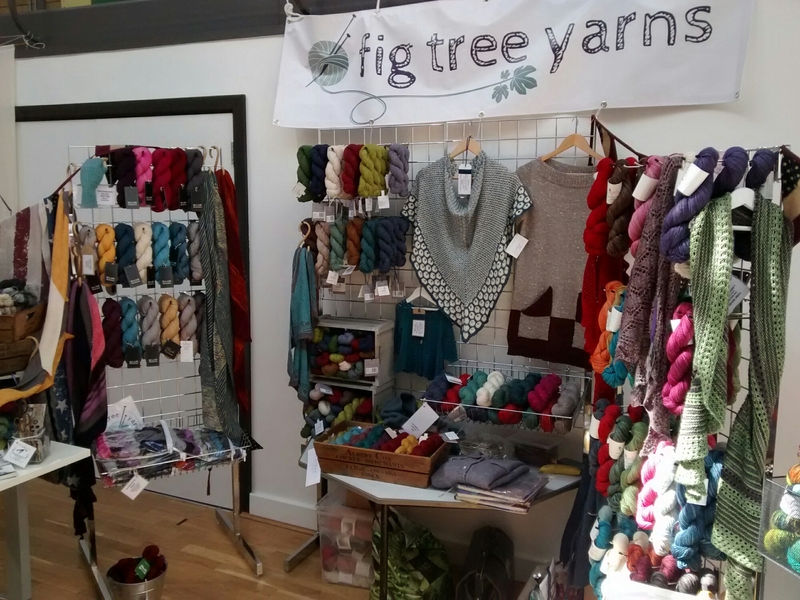 Fig Tree Yarns was our neighbour on stage right, selling all sorts of beautiful American yarns. 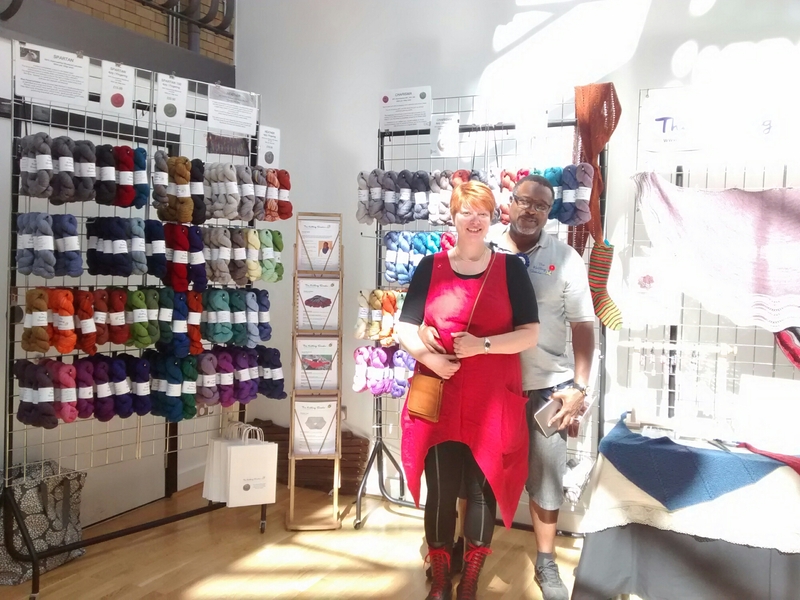 Tanja and Derrick of the Knitting Swede – she had the most beautiful shawl pattern called “Dragon Tears” which I’d love to knit one day! Grace of Beyond Measure was our other neighbour, and really lovely to chat to. 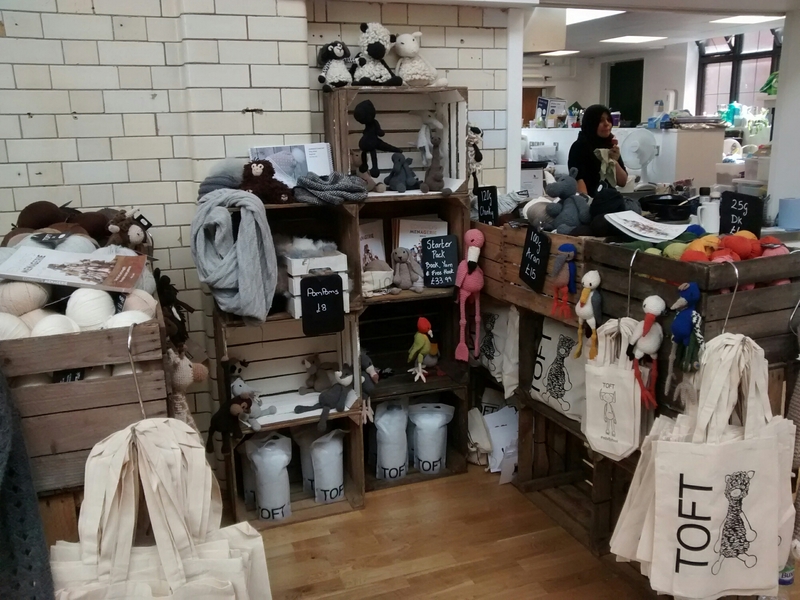 She had some great tools and notions, and I know Zoe was tempted…and succumbed! It was lovely meeting so many people I’d only known online before. 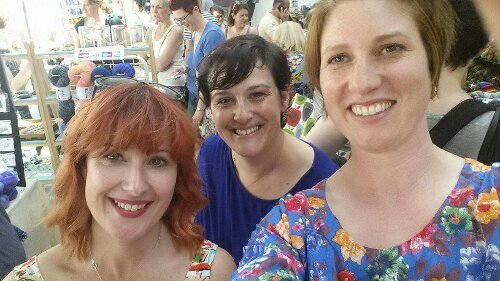 I didn’t get a picture with Ann Kingstone or Dani of Little Bobbins, but here’s one Zoe took of the pair of us with Zena from Little Yellow Uke podcast and etsy shop. I really think that meeting so many brilliant people was the best part by far! 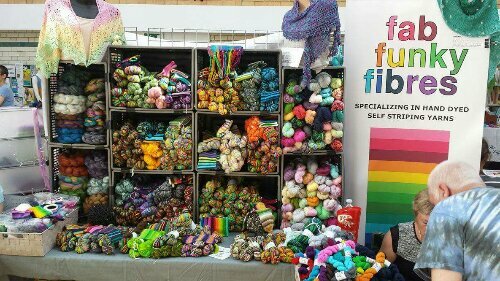 Fab Funky Fibres was another stall very close to ours, with the most gorgeous range of self striping yarns. 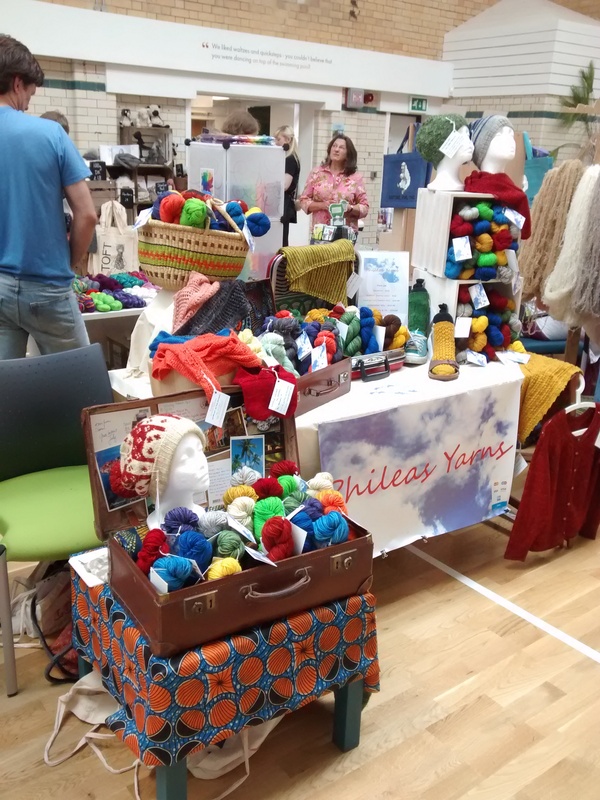 Seriously, that yarn festival was like being a kid in a sweet shop! And finally, a bit of fun! 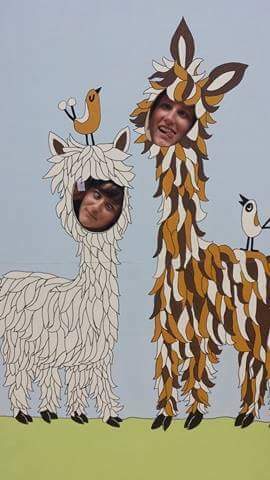 Zoe and I posing as alpacas. Of course, it was really tricky working out who should be the tall, ginger one and who should be the short, dumpy one!! 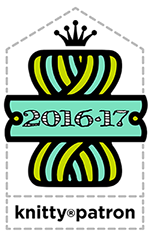 My DK yarn is a new base for me, so I’d be really interested to hear what you think of it once you’ve used it. 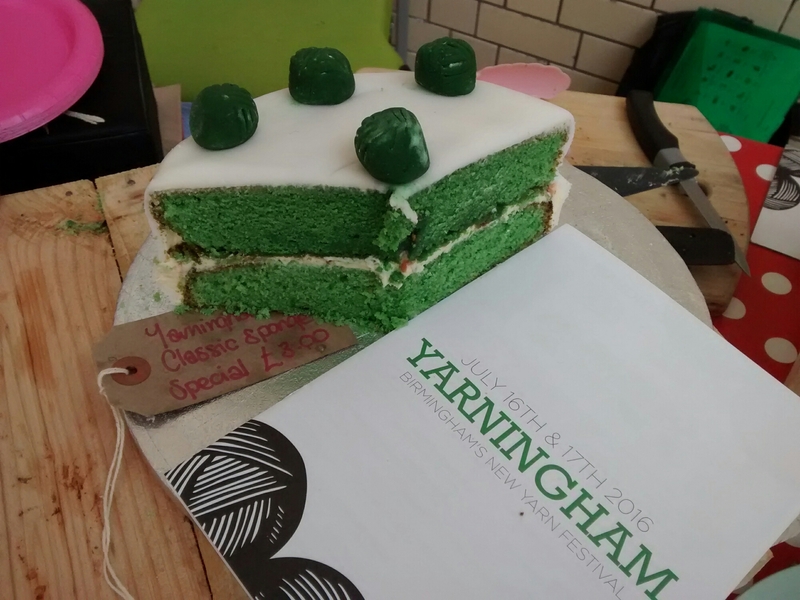 I’m so glad I was invited to Yarningham, and I’m looking forward to next year already!